One of the things all of us can do to protect and improve our environment is - recycling. Today a plastic bottle may contain juice, water, or soda.. But what can it become after you use it? Plastic bottles are becoming a growing segment of the municipal solid waste stream in the world. In order to reduce greenhouse gas emissions, PET recycling helps to decrease the amount of pollution in the air and water sources. The Environmental Protection Agency estimates that the average family can reduce their carbon dioxide emissions by up to 340 pounds annually simply be recycling their plastic waste. Since the process for PET recycling requires less energy and fossil fuels, it reduces the manufacturing cost and improves the environment. According to Earth911, 7.4 cubic yards of landfill space could be saved for every ton of plastic that is recycled. Collection and recovery of used material is the main drawback faced by companies interested in recycling PET. Although the recyclability of PET as one of its most valuable benefits for most markets the amount of material that goes to a landfill or landfill still exceeds the amount that is recycled is exalted. Cartagena de Indias, one of the most beautiful cities in the world do not have a system of recycling of any waste. More than 800 tons of daily waste is dumped on the outskirts of the city without any intervention by companies. In addition, they cannot take advantage of these resources. 27 years old girl – Cinthia Pattigno from Cartagena, Colombia has decided to do something concrete to solve the waste recycling in the region. She is a lawyer specializing in environmental law. She decided to implement recycling at source, collect house per house their waste and compact them in a warehouse located in the city. Afterward, sell them to companies that can transform this waste into useful products! 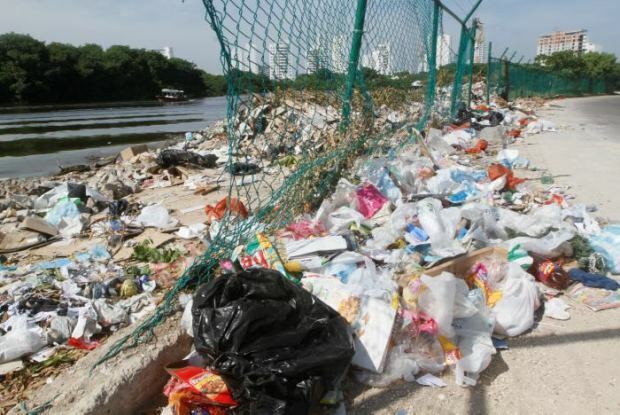 “Cartagena de Indias do not have separation of garbage, everyone discarded their mixed wastes, and thus being only 6% of the garbage that is thrown into the trash is recycled, meaning that more than 760 tons of daily garbage is practically as food for carrion birds and soil as a contaminant”, says Cinthia Pattigno. This idea of PET recycling came into her mind, when she saw the existing garbage collection and separation process in the region. The garbage, after picking from houses, transported through trucks and dumped in the area leaving virtually useless plastics and metals. To recycle the waste in a proper way and efficiently, she is currently running a crown fundraising campaign at Indiegogo for a goal of $10,000. She will collect all plastics and metals directly from the houses, thereby decreasing the tonnage of garbage daily gathered over large companies that have no interest in recycling. She needs your help to solve the waste menace in the region and save the environment. You can generously support her campaign for a good social cause.